Another incredible picture sent in to Acme Style by Michael Lisicky. 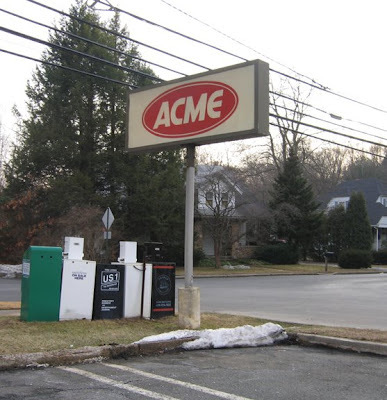 This classic pitched-roof Acme, with it's very deluxe and perfectly preserved fish-eye logo sign, was located on King's Highway in Haddon Heights, New Jersey. Interesting to see the entrance and exit is located on the right side of the store. 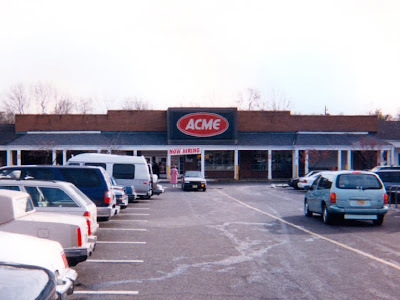 Pitched-roof Acme's, as well as 50's-70's styled Acmes nearly always had the entrance on the left side of the building. The front windows here are blue and green in color which I have seen on other pitched-roof stores. The coloring was probably added to cut down on sun glare in the store. Michael took this picture back in 1998. Here's an aerial shot of the former Acme. 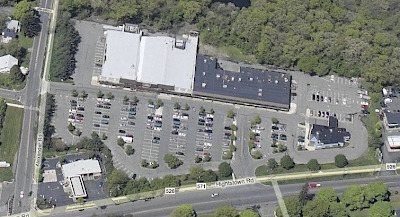 CVS took over the location about 5 years ago. 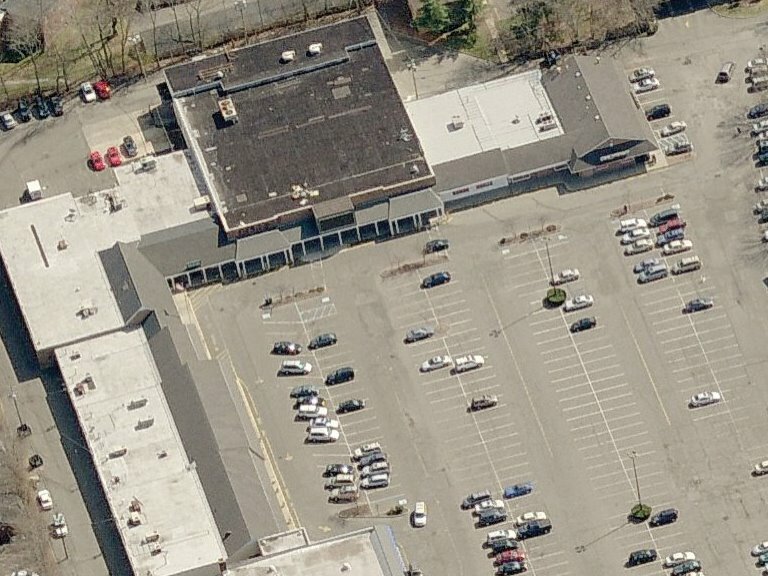 Parking seems to be very limited which was the case for alot of pitched-roof stores back in the day. 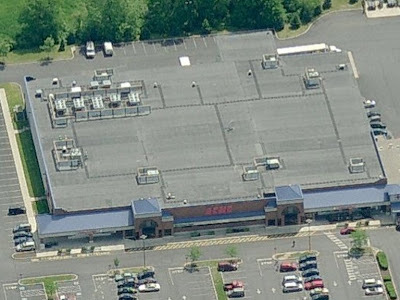 As of July 2009, Acme has a total of 126 stores operating in New Jersey, Pennsylvania, Delaware and Maryland. 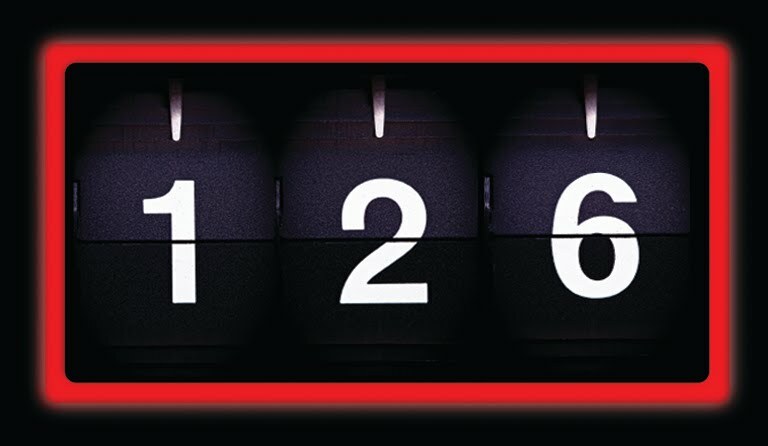 When Acme Style was launched back in January of this year, the total number of Acmes was 130. 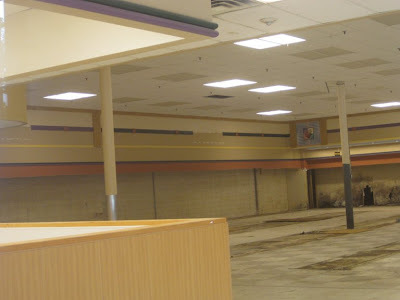 Since then five stores have closed and one new store has opened. 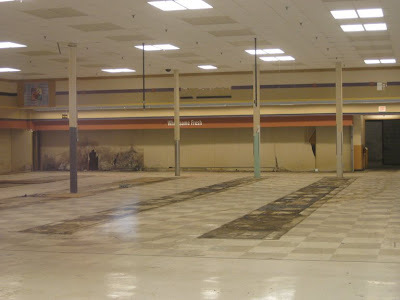 Unfortunately there are rumors on the internet that many more stores will be closing in the future. 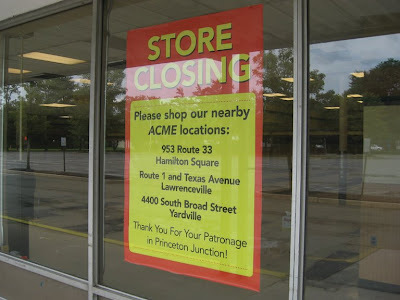 Acme Style will not report rumored closings until the company makes an official announcement. 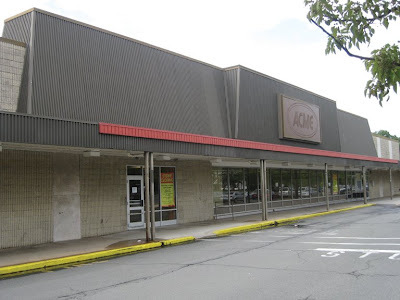 Back in 1998 when Albertsons bought out American Stores, there was total of 177 Acmes. 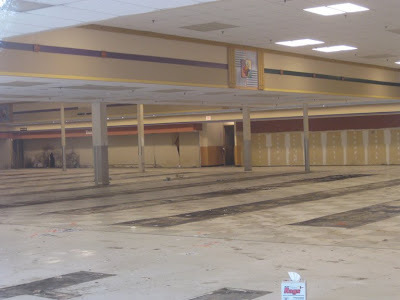 Many of the 51 stores that have closed since then were very small and outdated locations that were unfortunately not replaced with newer stores. 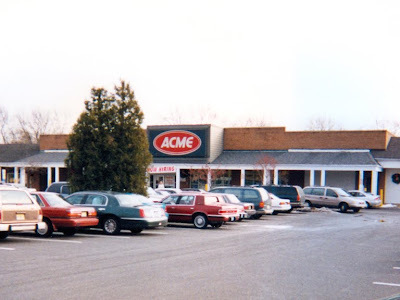 I am not sure about the amount of Acmes in the previous years and decades although I do know Acme operated hundreds of stores in their heyday. 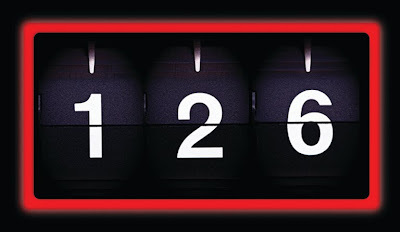 If anyone has more information on store counts of the past, please email Acme Style or leave a comment to this post. 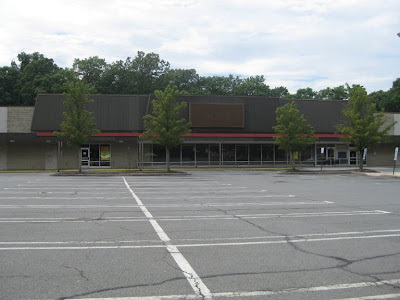 The Acme of New Providence New Jersey opened in 1968 and closed in August of 2006. 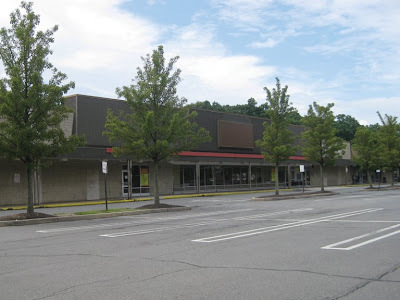 This was a replacement for a street front styled Acme that was located on Springfield Avenue. Construction was at a stand still when I visited this store. 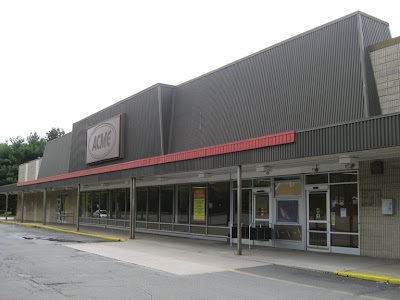 The township had approved plans to convert the Acme into and A&P Fresh. 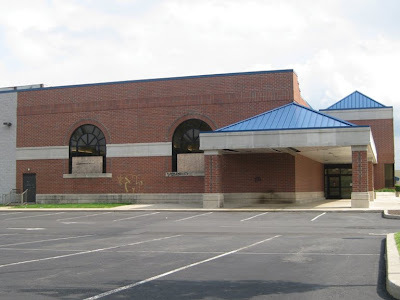 Those plans were put on hold when an error was discovered regarding the final square footage of the new building. A&P was asked to revise it's plans and resubmit them for approval. UPDATE 9.01.09: Reports online suggest that construction may have stalled here due to asbestos being discovered in the Acme building. 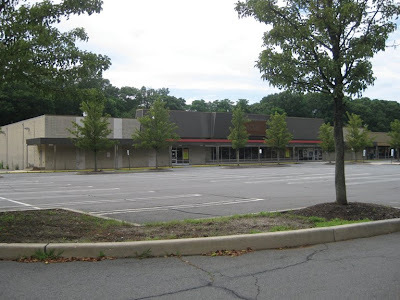 All of this happened back in mid-2008 when A&P was in the final stages of acquiring Pathmark and plans for new stores were put on hold. 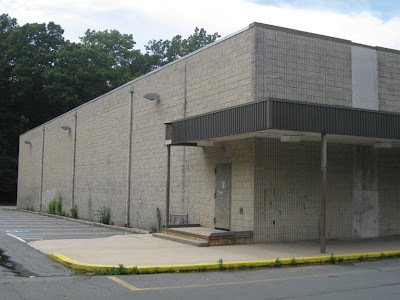 Township officials weren't even sure if A&P was still interested in the property. New plans were finally submitted in October of last year and were eventually approved in June of this year after a few more changes were made. Construction should currently by underway. 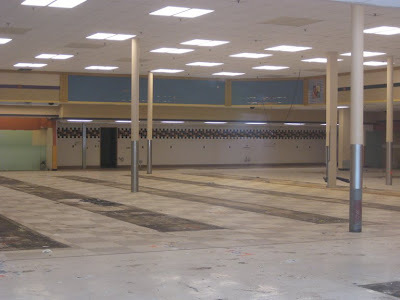 I can't find a date of when the new A&P is due to be open. 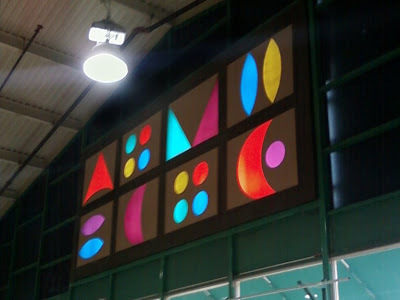 The entrance and exit was located near the center of the building which is quite unusual for an Acme of this style. Looks like the Produce receiving doors are to the left. 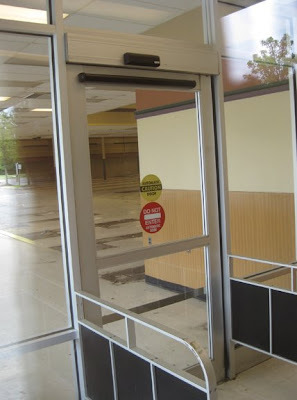 Another door is located the far right of the store as well. 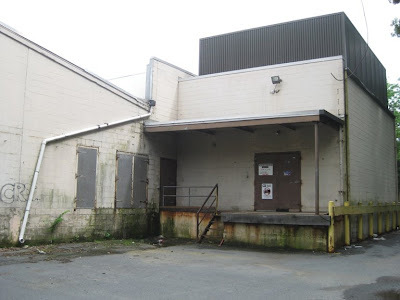 Must have been a very small store inside with backroom areas lining both the left and right side of the building. 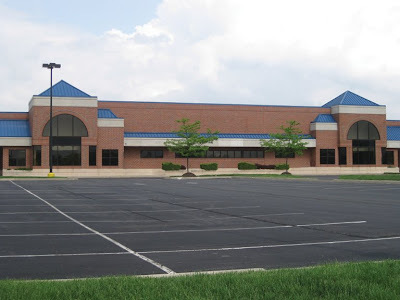 A&P's plans to expand the building to 45,000 square feet which I would think is nearly twice the size it is now. 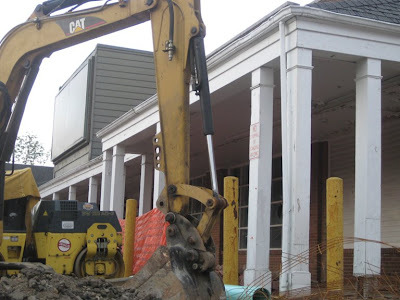 UPDATE 9.01.09: The current Acme building and neighboring stores will be completely torn down. Received some information regarding the layout of the Acme. The Produce alcove was to the left of the entrance with the Bakery Department in the right hand corner. 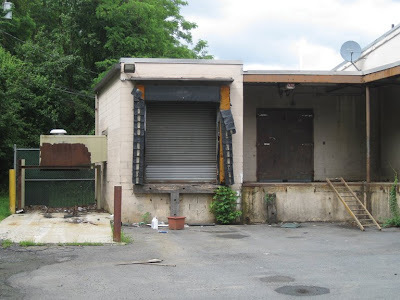 The Bakery had been pretty much shut down in the last few years of the store's life. 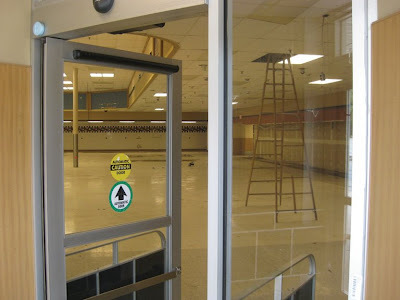 The overall condition of the store was extremely poor in the months leading up to it's closing. 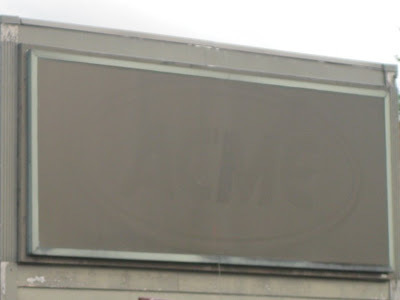 The red oval logo has been painted over. 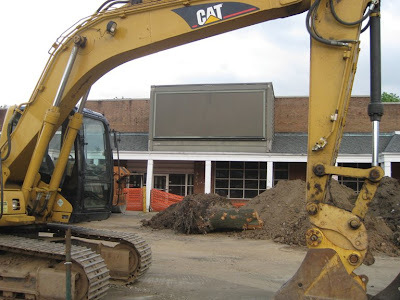 Some of the front windows had been covered over like in nearly every old Acme in order to make more room for shelving along the front wall. So close yet so far... I didn't chance climbing over the construction mess to get interior shots. I believe this store had the checkerboard arch decor all the way til the end. 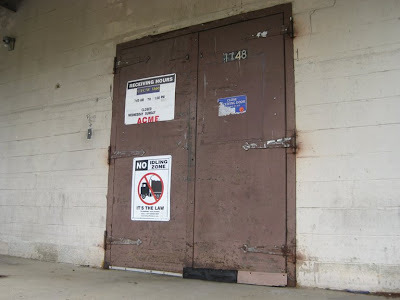 Here you can see the other receiving door. Not sure if Produce was on the other end or this end. Hopefully someone familiar with this store can give us and idea of the layout and the decor. 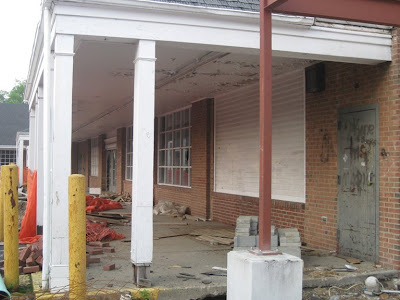 Very similar design to the Belmar and Manasquan stores. This style was built throughout the late 60's and early 70's. The parking lot was being repaved at the time of my visit back in June. Little did I know at the time that A&P's plans had just been approved. 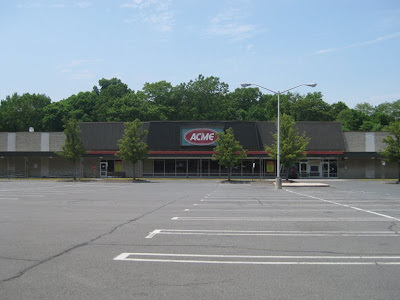 Guess CVS decided to leave this abandoned Acme alone and remain in their current location. 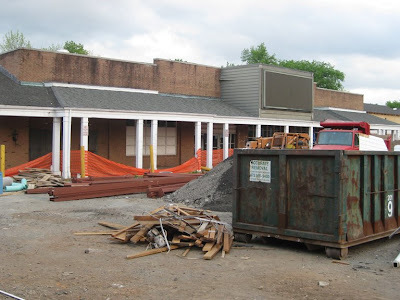 Interesting how A&P is willing to put the work into expanding this store but Acme was not. This shopping center is the only one in town and there isn't alot of competition nearby. 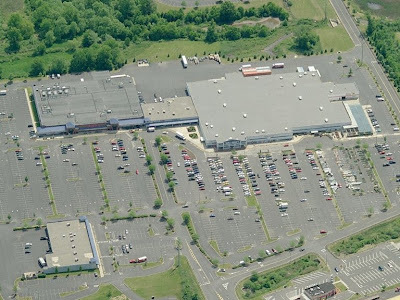 Here is the current New Providence A&P just a few blocks away from the former Acme site. This store is an expanded "Centennial" styled A&P. 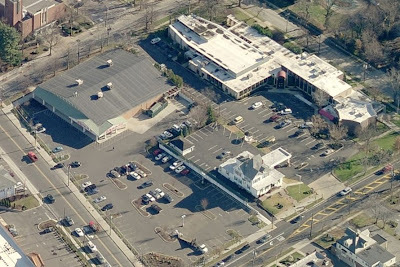 You can see the addition that was put onto the original store in the aerial shot below. The interior decor in this store is the first round of the "Fresh" look that A&P rolled out several years ago. They are currently on their third decor package for their "Fresh" stores. (The second package was the best. 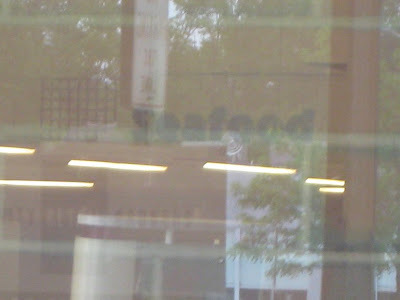 The third is based on the look and layout of European grocery stores.) This store did not receive a full conversion to the "Fresh" format which is why the signage has not been updated. Here you can see where the old meets the new. Lots of "Centennial" A&P's had the same arched roof that you see here... if you look closely. 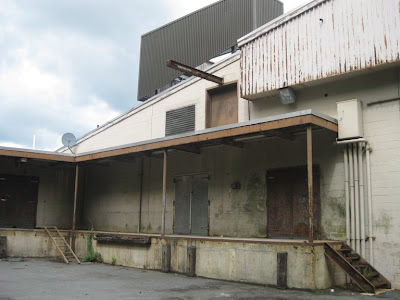 The front roof section of the original A&P is still intact and has been mostly blocked by the newer brown awning. 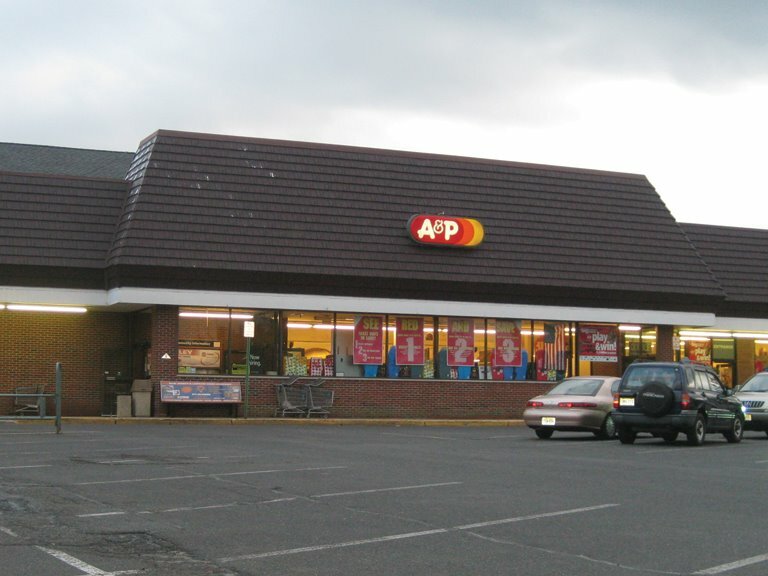 UPDATE 9.24.10: The much delayed A&P Fresh, which rose from the rubble of the old Acme, opens today! Check out a picture and article here. 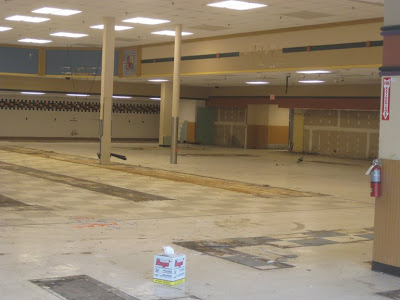 The last of the Lehigh Valley... this abandoned, 72,500-square-foot Acme in Quakertown Pennsylvania closed on August 23, 2007. Rumors of it's demise had circulated for years. 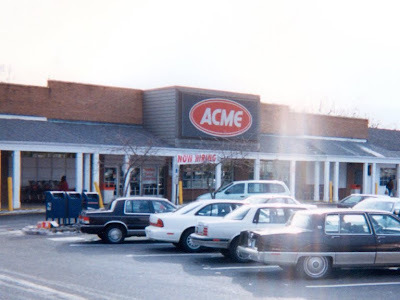 Acme was originally located across the street in the Kmart shopping center. 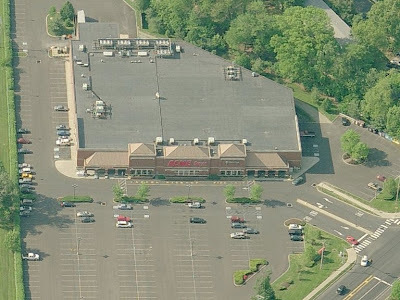 A Kohl's now stands in Acme's former location. 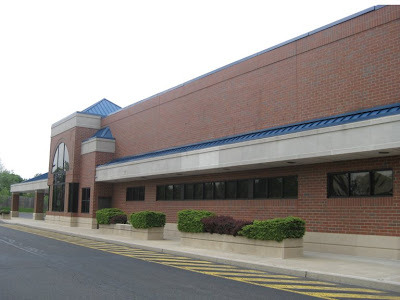 A classic 90's/American Stores building. 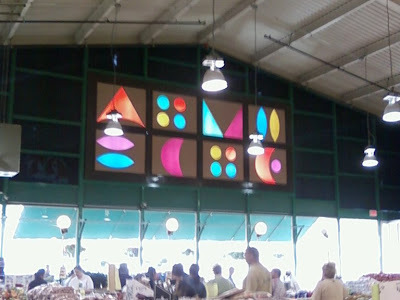 This style was Acme's first mega-store concept and marked a huge departure from the architecture and interior design of all previous types. 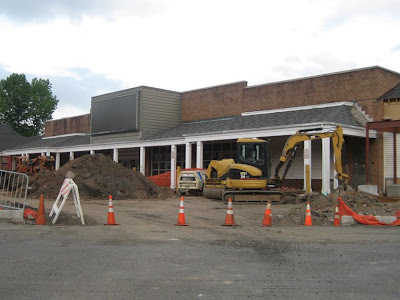 You can see Acme's first attempt at the super-store concept in my Williamstown post. 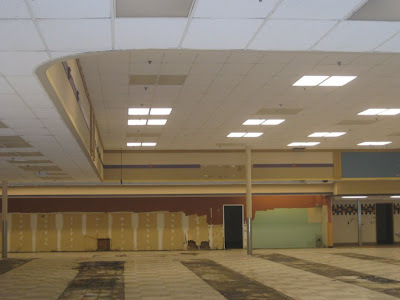 That style was only built a few times and then was modified slightly for a couple of new stores in Delaware. 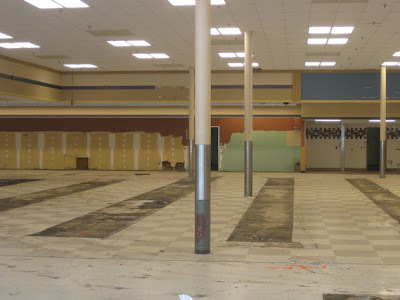 The interiors of those stores had the same look as the 80's remodel package with slightly richer colors on the walls and a toned down checkerboard floor. 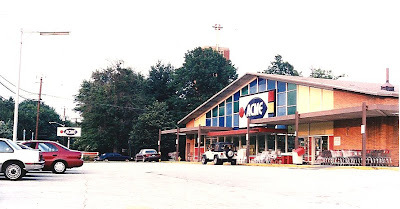 This 90's model had a completely redesigned interior and decor package and was also Acme's first store with entrances on either side. The double entrances were quite common in many chains during the 90's. Still used in most Giants and Stop and Shops. 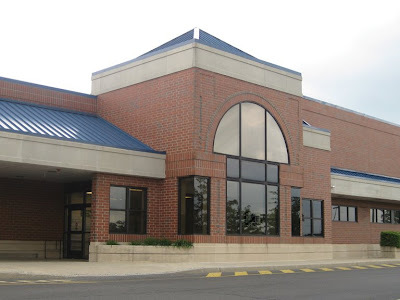 The overall trend now, however, has gone back to just one entrance that leads all customers into the high-profit prepared foods and perishable departments. 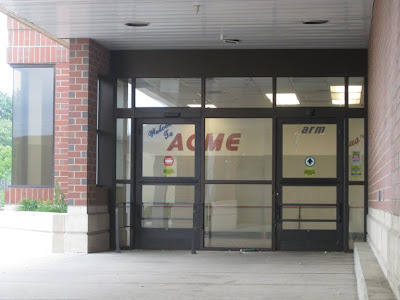 Acme latest stores are now built with just one main entrance leading into the "Market" section. 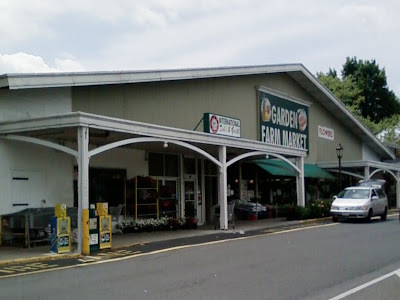 This entrance lead shoppers to the Produce, Bakery, Deli and Meat Departments. These departments lined the left wall with Produce being in an alcove just to the left of the entrance. Quite alot of detail and design for these foyers. 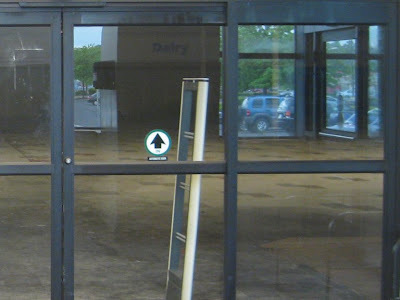 American Stores would simplify the design of the entrances as this concept continued to be built throughout the 90's. Food • Drug lablescar here. The arched windows in the Produce Department. I should have climbed up on the ledge to get some better pictures of the interior. 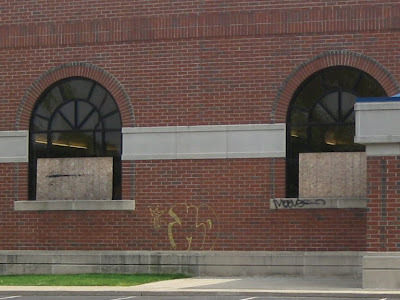 Looks like vandals have already tried to get in. Produce lights are still on. 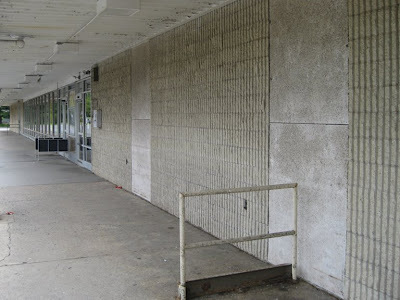 This entrance lead shoppers to the Pharmacy and General Merchandise Departments with Dairy to the rear. 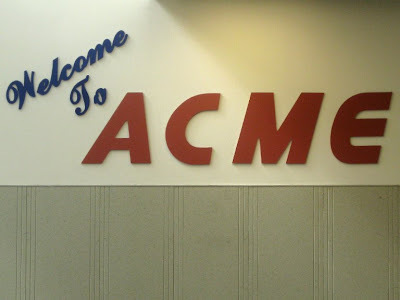 First time I have ever seen the old Acme letter style on a foyer wall. Pre-SavOn days at this Acme. I guess the Pharmacy was called "Pharmacy Plus". These are among the worst interior shots I have ever taken. Terrible reflection in the windows. I hope to get back to this store someday at night to get better interior shots. But at least you can see the Bakery sign in the 90's style. I do have better pictures of the 90's decor package which will be revealed in an upcoming post detailing all of the major decor packages over the years. You can see in both the Belmar and Berlin posts how this 90's Red/White/Blue decor package was watered down for the "Convenience Store" decor package. Look closely to see the Meat Department sign just a little ways down the aisle from the Bakery. Those light bars hanging up were probably directly over the check out lanes. I believe Seafood was in the back after Meat. But not sure... I took these pictures months ago and not positive of the order of the departments. Dairy along the back. The tile pattern on the floor was a welcome change from the busy checkerboard floors of the 80's and early 90's. This tile pattern was used for several decor packages that would follow the 90's Red/White/Blue decor. 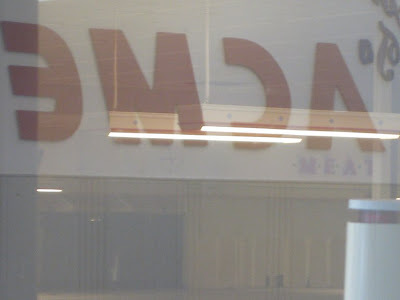 Hmmmm... someone got the Acme lettering out of this entrance. Glad to still see it at the other entrance. This entrance is on the side of the Produce and other service Departments. 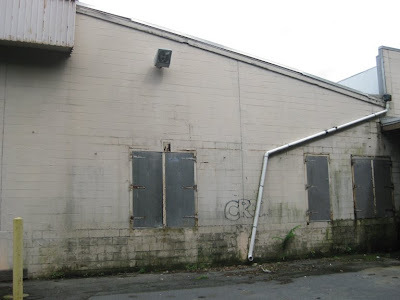 There was a strange wall built just to the inside of the doors on the left. Couldn't get any interior pictures from this end with the wall blocking the view to the inside. It certainly couldn't have been there when the store was open... not sure why it was added after it closed. The sun came out just as I was getting ready to leave. 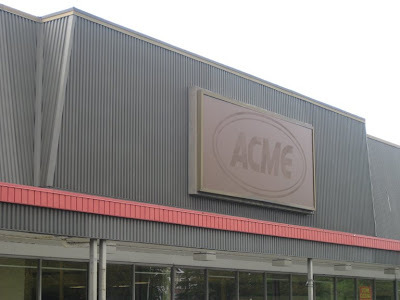 Still a great looking 90's styled Acme. 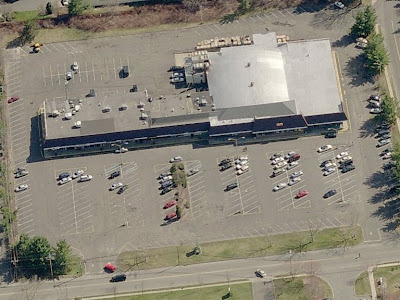 An aerial shot of the store when it was still open. The latest logo on the store front. Not sure if this store started out the red oval logo. 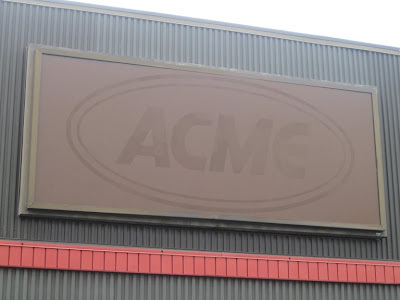 I think that Acme was building these new stores just as the new logo was being rolled out. Walmart just a few stores away. This store has since been remodeled and now has the new logo on front. 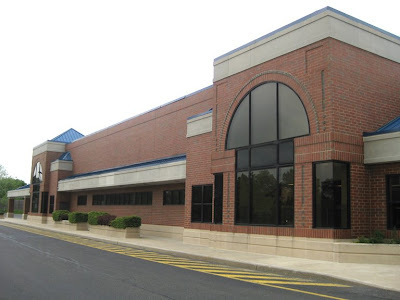 Rumors were that Walmart was looking to expand over into the Acme to create a Supercenter but that never happened. 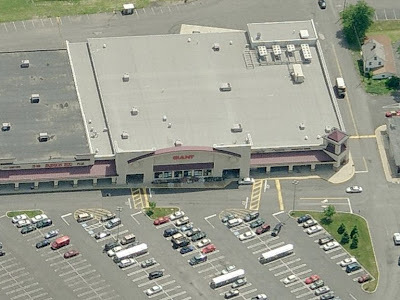 Giant is located in the shopping center just next door. Looks to be a relatively new store although after touring the inside I wondered if it started out as a different chain. The layout and decor was a little unusual for Giant. It wasn't very busy for a Saturday afternoon and a couple of the specialty service departments were closed. I'm a huge fan of Giant but this location was pretty disappointing. UPDATE 7.21.09: An anonymous reader left a comment saying that this Giant may have started out as a Clemens. That would explain it's very un-Giant like qualities on the inside. 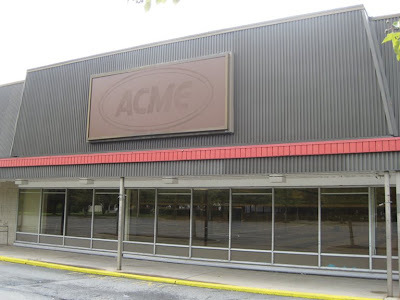 "ACME no longer holds the lease on that building. as of a few weeks ago 'available' signs have gone up on it. 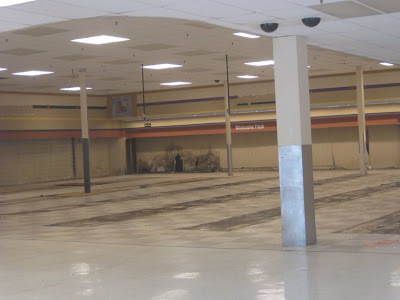 I believe the original plan was for walmart to take the whole strip and become a super center, but ACME was holding the lease and wanting walmart to pay them a lot of money to give it up. 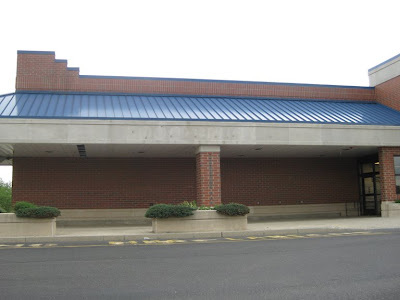 In December '09, new blue prints were made for the walmart, expanding it out the back, front, and garden center side. 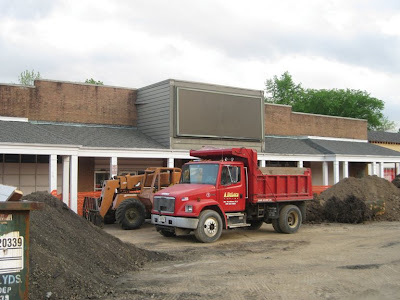 Construction is starting within the next few weeks (we started prepping the inside yesterday). 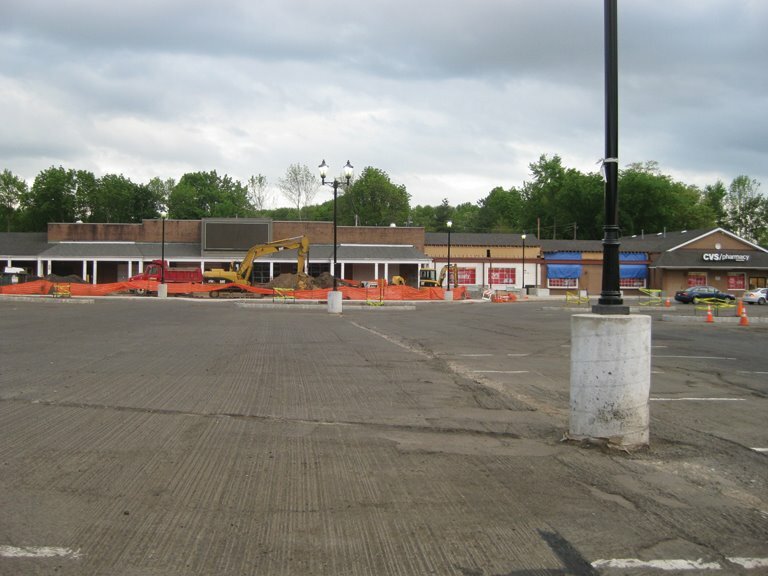 It is an 18 month project and when completed, it will supposedly be the largest supercenter in the area. The store will stay open during the expansion." 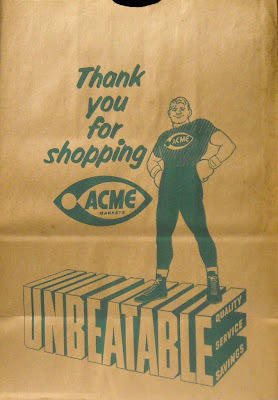 Here is a classic Acme grocery bag courtesy of BACKYard Woods Explorer. Click here to check out Backy's extensive photostream on Flickr. There is a set dedicated to just grocery bags. Here is a lucky find! I stumbled across this store completely by accident. 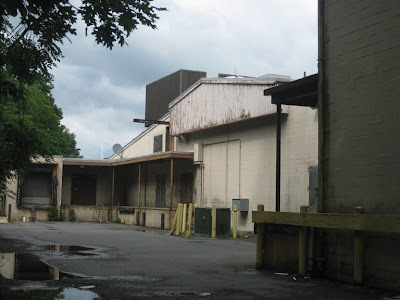 Not even sure now where I was headed to but it was a day without my GPS and I spent most of it lost while trying to track down some abandoned Acmes. 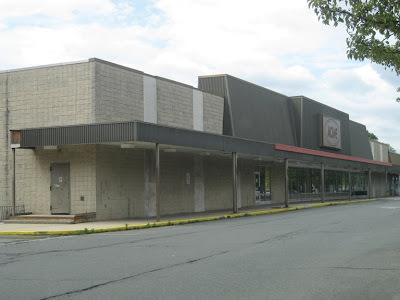 This former Acme is located on West Trenton Avenue and North Pennsylvania Avenue in Morrisville PA. A replacement store is located about 10 blocks away on the very same street. 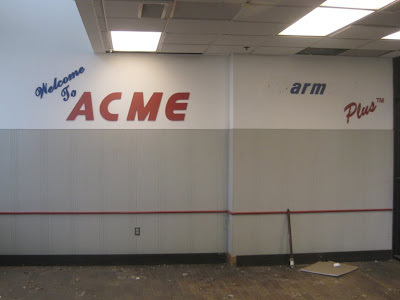 The big question here was... "Will the Acme sign still be on the inside?" It sure was! Used my cell phone for these pictures so the quality is lacking a bit. But check this out... they left the Acme sign up on the inside. And it looks especially dramatic with the windows around it now covered up. The bright light on the ceiling is a bit of a buzzkill. But still... an incredible sight... well for me anyway. Here's a look to the back of the store. Still very Acme-like inside. The place was packed with shoppers and employees so it was tough getting pictures. The store is aisles and aisles of produce with just a small selection of grocery staples. 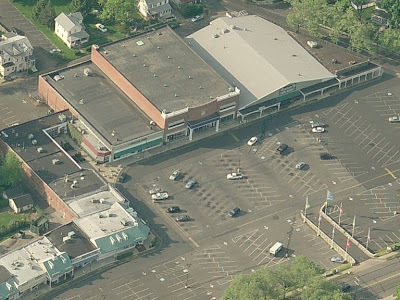 Here's an aerial shot of the shopping center. Notice how the store is cut off at an angle in the back due to the road. Must have been tough with deliveries. Very little space for trucks in the back of the store. Interesting building there in the middle. Looks like it might have been some sort of department store. UPDATE 7.30.09: Turns out the store in the middle was a department store... Lit Brothers. The chain was based in Philadelphia and was a lower end version of Gimbles and Strawbridge & Clothier. The chain closed in 1977. Thanks to an Anonymous reader for tip! Here is the replacement store for the old pithced-roof model down the street. 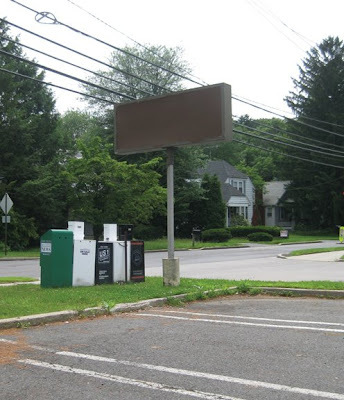 Located on West Trenton Avenue at Route 13. 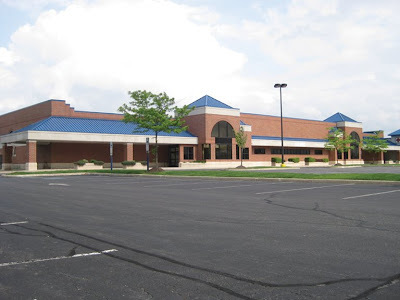 Sadly, the parking lot was about this full when I was stopped in on an early Saturday afternoon. Looks like the Acme is being hit hard from a Giant a block down the street. There was hardly a shopper inside... never saw anyone in Produce as I toured the store several times. The former Acme may be giving this newer Acme some serious competition with it's produce. The Garden Farm Market had every register open with lines several people long. 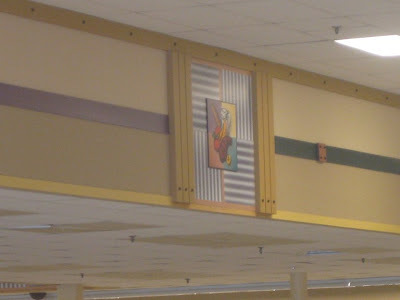 This Acme still has the 90's American Stores decor... the red, white and blue theme. Great looking store from the outside. The Produce alcove and arched windows are still intact. Many of these models have had the Produce department moved and the windows covered over. Notice how this store is cut of on an angle just like the old pitched-roof store. For those who aren't already aware, there is a possible strike by 4,500 union workers in southeastern Pennsylvania. Click here (then click "Continue") for an article at Progressive Grocer explaining the situation. The deadline for a new contract is July 10. UPDATE 7.16.09: Strike adverted. New contract signed yesterday. Click here for more details. In other news... I have been coming across information on the web and have received several emails that more Acme Markets are slated for closure. 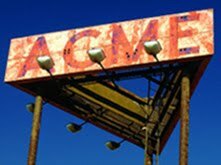 As far as I know, Acme has not made any official announcements at this time. I do not report store closings until the company makes the news official either to the press or to the employees of the location. 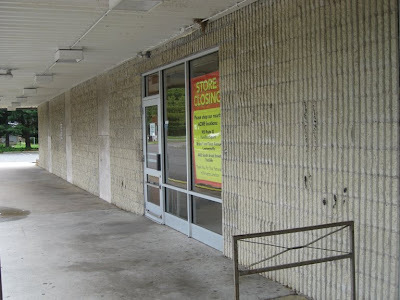 I certainly hope more closures do not happen but if more stores do close, I want to get them photographed so they can be preserved on this site. This blog entry now has an update of it's very own. The red oval logo is a bit of a mystery at this location. 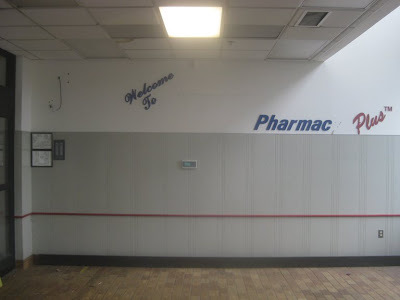 The interior received a significant upgrade sometime in the early 2000's yet the the sign was not replaced. 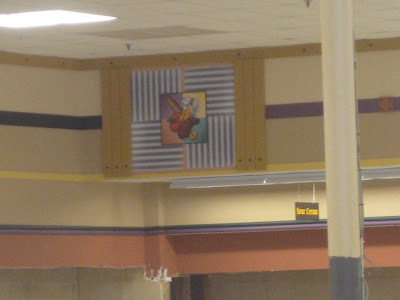 Many Acme's received new signage in the late 90's without having interior upgrades. 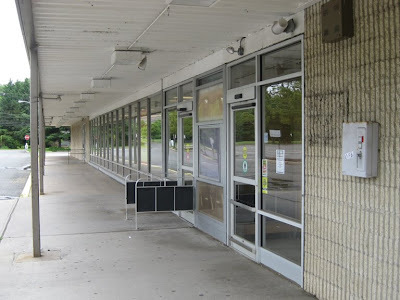 This store's distinctive 80's exterior remained until it's very last day. I went to Princeton Junction at the end of May to get my pictures. Had heard the store was cleared out and ready to be photographed. But when I took my first interior shot I saw that there were several people inside still cleaning up. I wasn't sure about the reaction I would have gotten to taking pics so I split. Returned two weekends ago. All signs now painted over, the store officially cleared out. Acme's lease was up as of May 31, 2009. 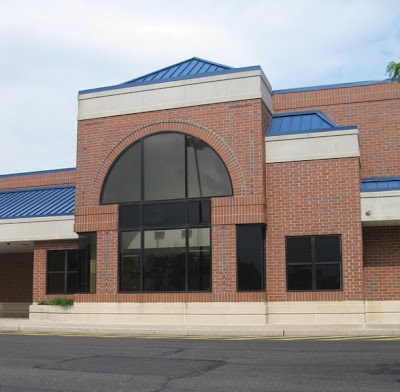 They decided not to renew due to growing competition from newer stores in the area. 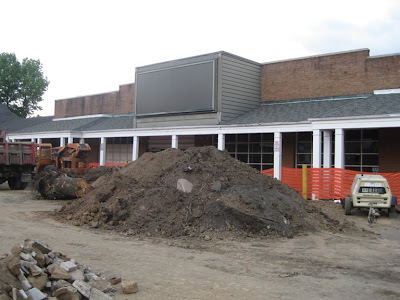 Acme's lease was ending at a time when the township was interested in redeveloping this shopping center which is very much showing it's age. Various plans of been drawn up from minor facade improvements to complete reconstruction of the property. As far as I know, no final plans have been decided upon. Rumors abound that King's will be moving into Acme's old space. I didn't see any "For Lease" signs on the property so perhaps it's fate has been decided. This store started out as a pithced-roof Acme. More evidence to come. 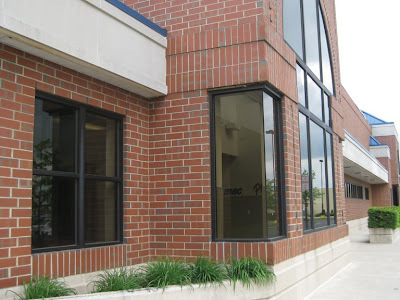 The front windows appear to be original. 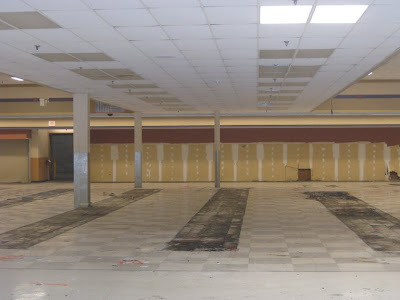 This store went through a massive transformation during the 80's remodel. Would have loved to have been able to see it go from a pithced-roof style to the classic 80's format. The distinctive stripes seen on many 80's styled stores. 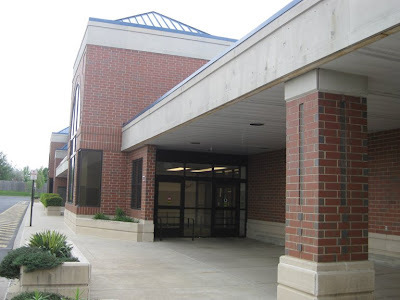 The entrance and exit was moved to this end during the 80's remodel. From the outside this emergency exit looks as though it may have been the original Entrance/Exit from the store's pithced-roof days. But when you look inside you can see that this exit does not line up with the end of the pitched-roof section. Not sure where this door lead to. Frozen food cases lined this section of the store as I remember. 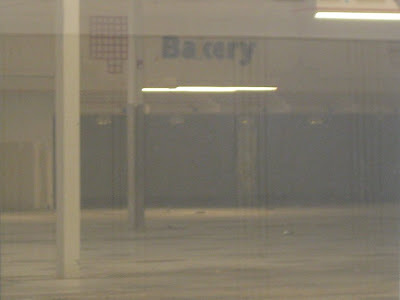 The Bakery may have been moved away from the corner during the 2000's remodel. 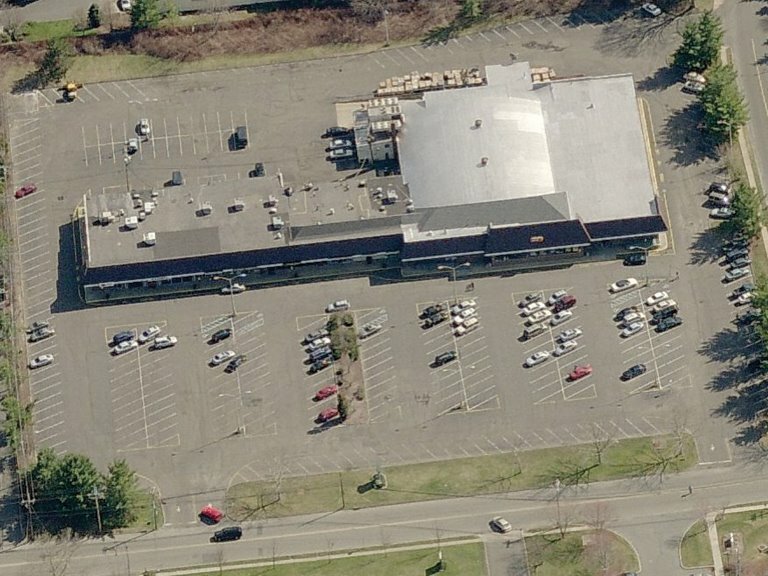 And now to that back of the store where the original pitched-roof section can be clearly seen. 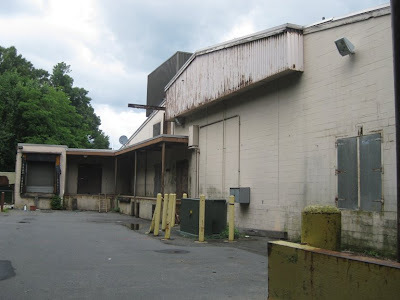 This loading dock section was probably added during the 80's expansion and remodel. Can anyone explain the beam that is sticking out at the top? I have seen this on other pitched-roof stores and don't know what it's purpose could have been. UPDATE 7.9.09: I received alot of emails regarding my question about the beam. 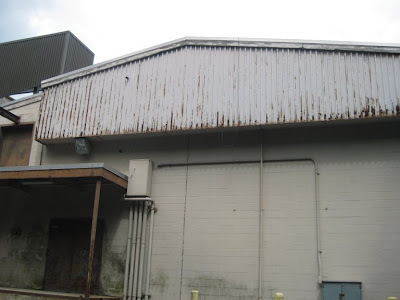 Turns out the beam was built into the frame work of most of the pitched-roof stores and was used with a hoist to lift the compressors into the refrigeration and compressor room. Another Acme Style reader wrote in and said the beam was used to transfer meat from the delivery truck to the store without having anyone lift it. This was back in the day when nearly the entire cow would be delivered to the store for final butchering. The back area was very swampy. Looks like these doors were no longer used after the expansion. Interior decor package: Looks as though this store was remodeled in the early 2000's. 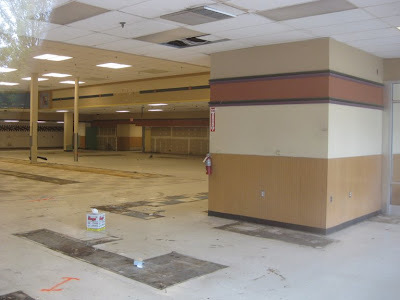 I believe this look was rolled out in older stores after Albertson's bought Acme from American Stores. This look came after the "Chalkboard Market" decor that was used in both old and new Acmes in the late 90's. I am working on a post that will present all of the major decor packages from the 70's to the present. Haven't come up with a name for this decor package. Unfortunately the department signs have been taken down. 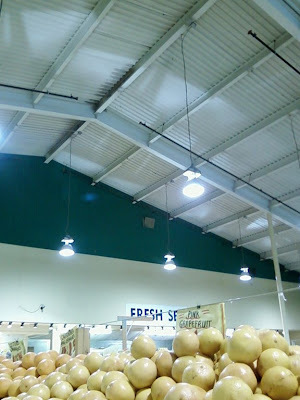 You can see where the Produce sign was on the far wall... where the break in the line is. Take a close look over by Customer Service... there are rements of the blue checkerboard floor tiles used in the 80's remodel. 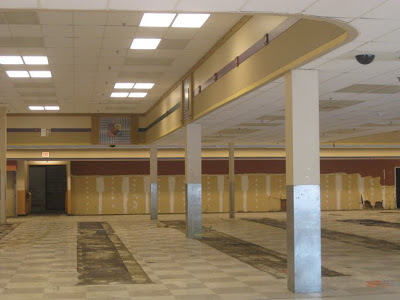 Another close look reveals the 80's checkerboard floor up and down the aisles. 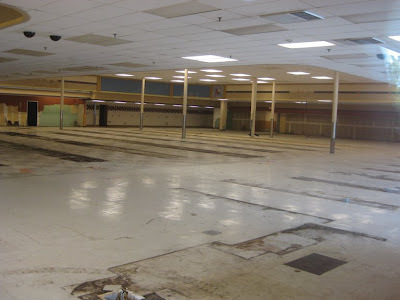 This area was not retiled during the 2000's remodel. 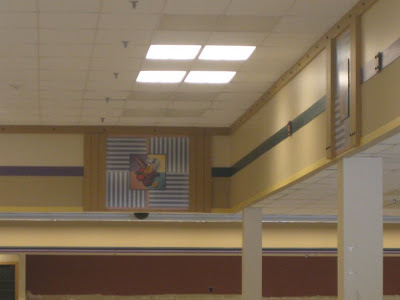 There was an odd raised black border that lined these old tiles all the way around the store. Guess it was a way to disguise the seem between the old and the new. 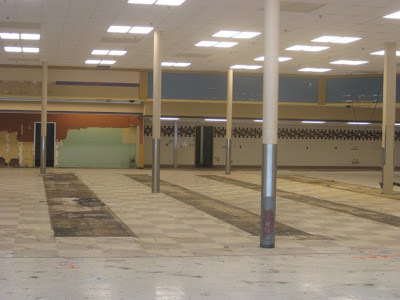 The tiled wall area was the Deli and Seafood section. Seattle's Best Coffee once a Starbucks in the lower part of the picture. There was still a Starbucks sign in the store leading customers to Seattle's Best (which is owned by Starbucks). Here you can see where the pitched-roof section ended and the addition begins. The square support beams are where the exterior wall once stood. The low drop ceiling section was common to the entrance/exit side of pitched-rood stores. Now entering the addition that was made to the store. Close-up of the wall graphics left behind. 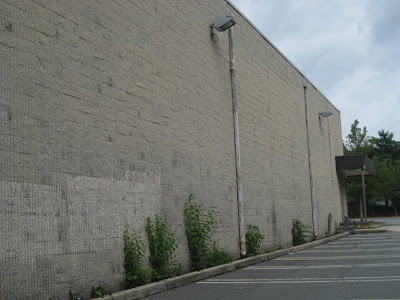 The back wall was the Dairy section. Looks like there may have been a bit of mold problem. Another close-up of a wall graphic. The Bakery to the left. You can see the curved wall the upper left-hand corner. A very common feature in 80's styled Acmes especially in the Bakery Department. Now exiting the Princeton Junction Acme. Found a $20 bill in the parking lot when I was taking these pictures. Covered gas and lunch for the trip. Finishing up with an areal shot of course. You can see the pithced-roof section if you look closely, especially the dip right before the addition.